Air medical services is a comprehensive term covering the use of air transportation, airplane or helicopter, to move patients to and from healthcare facilities and accident scenes. Personnel provide comprehensive prehospital and emergency and critical care to all types of patients during aeromedical evacuation or rescue operations aboard helicopter and propeller aircraft or jet aircraft. The use of air transport of patients dates to World War I, but its role was expanded dramatically during the Korean and Vietnam conflicts. Helicopters are used to transport patients between hospitals and from trauma scenes; fixed-wing aircraft are used for long-distance transports. The advantages of medical transport by helicopter may include providing a higher level of care at the scene of trauma and improving access to trauma centers. Helicopter-based emergency medical service (EMS) also provides critical care capabilities during interfacility transport from community hospitals to trauma centers. Effective use of helicopter services for trauma depends on the ground responder's ability to determine whether the patient's condition warrants air medical transport. Protocols and training must be developed to ensure appropriate triage criteria are applied. Excessively stringent criteria can prevent rapid care and transport of trauma victims; relaxed criteria can result in the embarrassing and costly situation of transporting a patient by helicopter only to have the patient discharged in good condition from the emergency department. Crew and patient safety is the single most important factor to be considered when deciding whether to transport a patient by helicopter. Weather, air traffic patterns, and distances (e.g., from trauma scene to closest level one trauma center) must also be considered. Another reason for cancelling a flight is based on Flight Crew comfort with the flight. The general rule of safety is upon the crew, when there is one pilot and two medical crew is: 3 to go, 1 to say "NO". If one Flight Member is not comfortable with the flight for whatever reason, the flight is cancelled. Some have questioned the safety of air medical services While the number of crashes may be increasing, the number of programs and use of services has also increased. Factors associated with fatal crashes of medical transport helicopters include flying at night and during bad weather, and postcrash fires. An air ambulance is a specially outfitted helicopter, or fixed wing aircraft, that transports injured or sick people in a medical emergency or over distances or terrain impractical for a conventional ground ambulance. 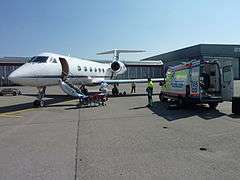 Fixed wing aircraft are also more often used to move patients over long distances and for repatriation from foreign countries. These and related operations are called aeromedical. In some circumstances, the same aircraft may be used to search for missing or wanted people. Like ground ambulances, air ambulances are equipped with medical equipment vital to monitoring and treating injured or ill patients. Common equipment for air ambulances includes medications, ventilators, ECGs and monitoring units, CPR equipment, and stretchers. A medically staffed and equipped air ambulance provides medical care in flight—while a non-medically equipped and staffed aircraft simply transports patients without care in flight. Military organizations and NATO refer to the former as medical evacuation (MEDEVAC) and to the latter as casualty evacuation (CASEVAC). Air Traffic Control (ATC) grants special treatment to air ambulance operations, much like a ground ambulance using lights and a siren, only when they are actively operating with a patient. When this happens, air ambulance aircraft take the call sign MEDEVAC (formerly LIFEGUARD) and receive priority handling in the air and on the ground. As with many Emergency Medical Service (EMS) innovations, treating patients in flight originated in the military. The concept of using aircraft as ambulances is almost as old as powered flight itself. Although balloons were not used to evacuate wounded soldiers at the Siege of Paris in 1870, air evacuation was experimented with during the First World War. The first true Air Ambulance flight was made when a Serbian officer was flown from the battlefield to hospital by a plane of the French Air Service. French records at the time indicated that the mortality rate of the injured was reduced from 60% to just under 10% if they were evacuated by air. The first recorded British ambulance flight took place in 1917 in Turkey when a soldier in the Camel Corps who had been shot in the ankle was flown to hospital in a de Havilland DH9 in 45 minutes. The same journey by land would have taken some 3 days to complete. In the 1920s several services, both official and unofficial, started up in various parts of the world. 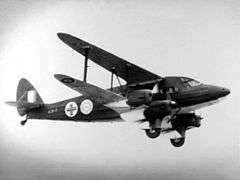 Aircraft were still primitive at the time, with limited capabilities, and the effort received mixed reviews. 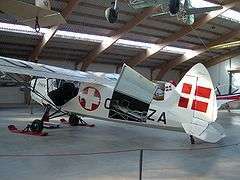 Exploration of the idea continued, however, and France and the United Kingdom used fully organized air ambulance services during the African and Middle Eastern Colonial Wars of the 1920s. 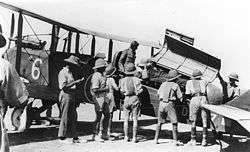 In 1920, the British, while suppressing the "Mad Mullah" in Somalialand, used an Airco DH.9A fitted out as an air ambulance. It carried a single stretcher under a fairing behind the pilot. The French evacuated over 7,000 casualties during that period. By 1936, an organized military air ambulance service evacuated wounded from the Spanish Civil War for medical treatment in Nazi Germany; this service continued during the Second World War. 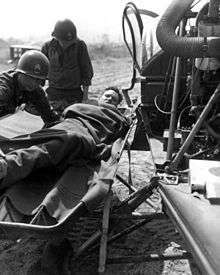 The first use of medevac with helicopters was the evacuation of three British pilot combat casualties by a US Army Sikorsky in Burma during WW2, and the first dedicated use of helicopters by U.S. forces occurred during the Korean War, between 1950 and 1953. 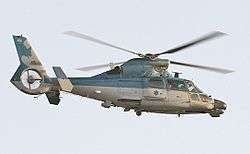 The French used light helicopters in the First Indochina War. While popularly depicted as simply removing casualties from the battlefield (which they did), helicopters in the Korean War also moved critical patients to hospital ships after initial emergency treatment in field hospitals. Knowledge and expertise of use of air ambulances evolved parallel to the aircraft themselves. By 1969, in Vietnam, the use of specially trained medical corpsmen and helicopter air ambulances led U.S. researchers to determine that servicemen wounded in battle had better rates of survival than motorists injured on California freeways. This inspired the first experiments with the use of civilian paramedics in the world. The US military recently employed UH-60 Black Hawk helicopters to provide air ambulance service during the Iraq War to military personnel and civilians. The use of military aircraft as battlefield ambulances continues to grow and develop today in a variety of countries, as does the use of fixed-wing aircraft for long-distance travel, including repatriation of the wounded. Currently, a NATO working group is investigating unpiloted aerial vehicles (UAVs) for casualty evacuation. The first civilian uses of aircraft as ambulances were probably incidental. In northern Canada, Australia, and in Scandinavian countries, remote, sparsely populated settlements are often inaccessible by road for months at a time, or even year round. In some places in Scandinavia, particularly in Norway, the primary means of transportation between communities is by boat. Early in aviation history, many of these communities began to rely on civilian "bush" pilots, who fly small aircraft and transport supplies, mail, and visiting doctors or nurses. Bush pilots probably performed the first civilian air ambulance trips, albeit on an ad hoc basis—but clearly, a need for these services existed. In the early 1920s, Sweden established a standing air ambulance system, as did Siam (Thailand). In 1928 the first formal, full-time air ambulance service was established in the Australian outback. This organization became the Royal Flying Doctor Service and still operates. In 1934, Marie Marvingt established the first civil air ambulance service in Africa, in Morocco. In 1936, air ambulance services were established as part of the Highlands and Islands Medical Service to serve more remote areas of Highland Scotland. Air ambulances quickly established their usefulness in remote locations, but their role in developed areas developed more slowly. 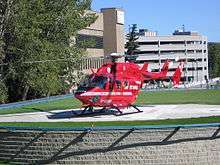 After World War II, the Saskatchewan government in Regina, Saskatchewan, Canada, established the first civilian air ambulance in North America. The Saskatchewan government had to consider remote communities and great distances in providing health care to its citizens. 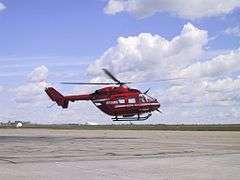 The Saskatchewan Air Ambulance service continues to be active as of 2011. J. Walter Schaefer founded the first air ambulance service in the U.S, in 1947, in Los Angeles. The Schaefer Air Service, operated as part of Schaefer Ambulance Service. Schaefer Air Service was also the first FAA-certified air ambulance service in the United States. When the Saskatchewan and Schaefer services began, paramedicine was still decades away, and unless a physician or nurse accompanied the patient, air ambulances primarily provided medical transportation. A great deal of the early use of aircraft as ambulances in civilian life, particularly helicopters, involved the improvised use of aircraft that belonged to the military. Eventually, this became more organized. This occurred not only in the United States, but also in other countries, and persists today. Today in the U.S., helicopters and airplanes carry out approximately a half million transports per year. Two research programs were implemented in the U.S. to assess the impact of medical helicopters on mortality and morbidity in the civilian arena. Project CARESOM was established in Mississippi in 1969. Three helicopters were purchased through a federal grant and located strategically in the north, central, and southern areas of the state. Upon termination of the grant, the program was considered a success and each of the three communities was given the opportunity to continue the helicopter operation. Only the one located in Hattiesburg, Mississippi did so, and it was therefore established as the first civilian air medical program in the United States. The second program, the Military Assistance to Safety and Traffic (MAST) system, was established in Fort Sam Houston in San Antonio in 1969. This was an experiment by the Department of Transportation to study the feasibility of using military helicopters to augment existing civilian emergency medical services. These programs were highly successful at establishing the need for such services. The remaining challenge was in how such services could be operated most cost-effectively. In many cases, as agencies, branches, and departments of the civilian governments began to operate aircraft for other purposes, these aircraft were frequently pressed into service to provide cost-effective air support to the evolving Emergency Medical Services. As the concept was proven, dedicated civilian air ambulances began to appear. On November 1, 1970, the first permanent civil air ambulance helicopter, Christoph 1, entered service at the Hospital of Harlaching, Munich, Germany. The apparent success of Christoph 1 led to a quick expansion of the concept across Germany, with Christoph 10 entering service in 1975, Christoph 20 in 1981, and Christoph 51 in 1989. 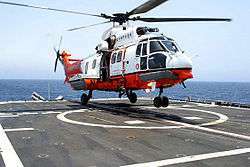 As of 2007, there are about 80 helicopters named after Saint Christopher, like Christoph Europa 5 (also serving Denmark), Christoph Brandenburg or Christoph Murnau am Staffelsee. Austria adopted the German system in 1983 when Christophorus 1 entered service at Innsbruck. The first civilian, hospital-based medical helicopter program in the United States began operation in 1972. Flight For Life Colorado began with a single Alouette III helicopter, based at St. Anthony Central Hospital in Denver, Colorado. In Ontario, Canada, the air ambulance program began in 1977, and featured a paramedic-based system of care, with the presence of physicians or nurses being relatively unusual. The system, operated by the Ontario Ministry of Health, began with a single rotor-wing aircraft based in Toronto. An important difference in the Ontario program involved the emphasis of service. "On scene" calls were taken, although less commonly, and a great deal of the initial emphasis of the program was on the interfacility transfer of critical care patients. Operating today through a private contractor (ORNGE), the system operates 33 aircraft stationed at 26 bases across the province, performing both interfacility transfers and on-scene responses in support of ground-based EMS. Today, across the world, the presence of civilian air ambulances has become commonplace, and is seen as a much-needed support for ground-based EMS systems. 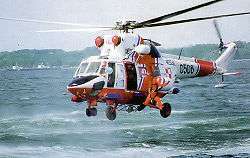 In other countries of Europe, like SFR Yugoslavia, first air ambulance appeared in the 1980s. The most of the fleet was previously used in military service. With the increased number of car accidents in 1979 on highways, the Yugoslavian government made a decision to buy new or redistribution of use of old helicopters. Air ambulance service, sometimes called Aeromedical Evacuation or simply Medevac, is provided by a variety of different sources in different places in the world. There are a number of reasonable methods of differentiating types of air ambulance services. These include military/civilian models and services that are government-funded, fee-for-service, donated by a business enterprise, or funded by public donations. It may also be reasonable to differentiate between dedicated aircraft and those with multiple purposes and roles. 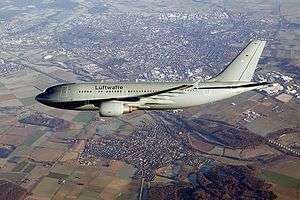 Finally, it is reasonable to differentiate by the type of aircraft used, including rotary-wing, fixed-wing, or very large aircraft. 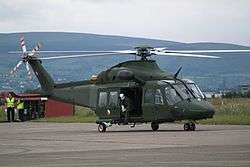 The military role in civilian air ambulance operations is described in the History section. Each of the remaining models is explored separately. It should also be noted that this information applies to air ambulance systems performing emergency service. In almost all jurisdictions, private aircraft charter companies provide non-emergency air ambulance service on a fee-for-service basis. Scottish Ambulance Service - The UK's only Government funded air ambulance service. In some cases, governments provide air ambulance services, either directly or via a negotiated contract with a commercial service provider, such as an aircraft charter company. Such services may focus on critical care patient transport, support ground-based EMS on scenes, or may perform a combination of these roles. In almost all cases, the government provides guidelines to hospitals and EMS systems to control operating costs—and may specify operating procedures in some level of detail to limit potential liability. However, the government almost always takes a 'hands-off' approach to actual running of the system, relying instead on local managers with subject matter (physicians and aviation executives) expertise. Ontario's ORNGE program and the Polish Lotnicze Pogotowie Ratunkowe (LPR) are examples of this type of operating system. The Polish LPR is a national system covering the entire country and funded by the government through the Ministry of Health but run independently, there is no independent HEMS operator in Poland. In North East Ohio, including Cleveland, the Cuyahoga County-owned MetroHealth Medical Center uses its Metro Life Flight to transport patients to Metro's level I trauma and burn unit. There are 5 helicopters for North East Ohio and, in addition, Metro Life Flight has one fixed-wing aircraft. In the United Kingdom, the Scottish Ambulance Service operates two helicopters and two fixed-wing aircraft twenty-four hours per day. These represent the UK's only government-funded air ambulance service. In some jurisdictions, cost is a major consideration, and the presence of dedicated air ambulances is simply not practical. 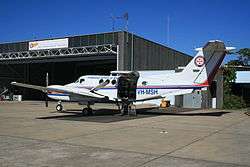 In these cases, the aircraft may be operated by another government or quasi-government agency and made available to EMS for air ambulance service when required. In southern New South Wales, Australia, the helicopter that responds as an air ambulance is actually operated by the local hydroelectric utility, with the New South Wales Ambulance Service providing paramedics, as required. In some cases, local EMS provides the flight paramedic to the aircraft operator as-needed. In the case of the Los Angeles County Fire Department the helicopters are brush fire choppers also configured as air ambulances with a paramedic provided from whichever fire department rescue unit has responded. Sometimes the air ambulance may be run as a dual concern with another governmental body - for example the Wiltshire Air Ambulance is run as a joint Ambulance Service and police unit. In other cases, the paramedic staffs the aircraft full-time, but has a dual function. In the case of the Maryland State Police, for example, the flight paramedic is a serving State Trooper whose job is to act as the Observer Officer on a police helicopter when not required for medical emergencies. In many cases, local jurisdictions do not charge for air ambulance service, particularly for emergency calls. However, the cost of providing air ambulance services is considerable and many, including government-run operations, charge for service. Organizations such as service aircraft charter companies, hospitals, and some private-for-profit EMS systems generally charge for service. 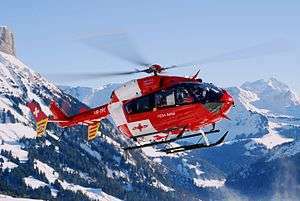 Within the European Union, almost all air ambulance service is on a fee-for-service basis, except for systems that operate by private subscription. Many jurisdictions have a mix of operation types. Fee-for-service operators are generally responsible for their own organization, but may have to meet government licensing requirements. Rega of Switzerland is an example of such a service. 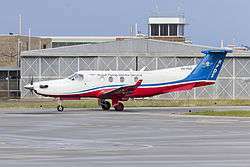 In some cases, a local business or even a multi-national company may choose to fund local air ambulance service as a goodwill or public relations gesture. 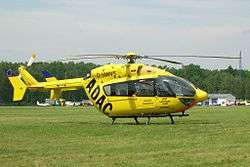 Examples of this are common in the European Union, where in London the Virgin Corporation previously donated to the Helicopter Emergency Medical Service, and in Germany and the Netherlands a large number of the 'Christoph' air ambulance operations are actually funded by ADAC, Germany's largest automobile club and DRF Luftrettung. In Australia and New Zealand, many air ambulance helicopter operations are sponsored by the Westpac Bank. In these cases, the operation may vary, but is the result of a carefully negotiated agreement between government, EMS, hospitals, and the donor. In most cases, while the sponsor receives advertising exposure in exchange for funding, they take a 'hands off' approach to daily operations, relying instead on subject matter specialists. In some cases, air ambulance services may be provided by means of voluntary charitable fundraising, as opposed to government funding, or they may receive limited government subsidy to supplement local donations. Some countries, such as the U.K., use a mix of such systems. In Scotland, the parliament has voted to fund air ambulance service directly, through the Scottish Ambulance Service In England and Wales, however, the service is funded on a charitable basis via a number of local charities for each region covered, although the service to London receives most of its funding through the National Health Service. Great strides have been made in the UK, with the 'Association of Air Ambulance (AAA)'. This organization is widely credited for having created the political climate that made the helicopter industry and National Health Service recognise the enormous contribution charities make to trauma care in the United Kingdom. In 2013, the AAA published the "Framework for a High Performing Air Ambulance Service" which details many of the developments from 2008 to 2013. In recent years, the service has moved towards the physician-paramedic model of care. This has necessitated some charities commissioning clinical governance services, however many air ambulances operate under the tasking ambulances services clinical governance. The AAA now publishes Best Practice Guidance on a range of operational and clinical functions and provides a code of conduct that all full members, both ambulance services and charities must uphold. A final area of distinction is the operation of large, generally fixed-wing air ambulances. In the past, the infrequency of civilian demand for such a service confined such operations to the military, which requires them to support overseas combat operations. Military organizations capable of this type of specialized operation include the United States Air Force, the German Luftwaffe, and the British Royal Air Force. The Swedish National Air Medevac - SNAM is an exception to the military only rule where the system is owned by the Swedish Civil Contingencies Agency Myndigheten för samhällsskydd och beredskap and the Boeing 737 Next Generation#737-800 aircraft is provided under contract when so required by Scandinavian Airlines. Each operates aircraft staffed by physicians, nurses, and corpsmen/technicians, and each can providing long distance transport with full medical support to dozens of patients simultaneously. However, in recent years, exceptions to the "military-only" rule have grown with the need to quickly transport patients to facilities that provide higher levels of care, or to repatriate individuals. 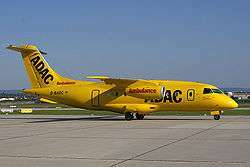 ADAC, the German automobile club, Phoenix Air, and Mercy Jets Worldwide Air Ambulance, use both large and small fixed wing aircraft configured to provide levels of care that can be found in Trauma centers for individuals who subscribe to their own health insurance or affiliated travel insurance and protection plans. In most jurisdictions, air ambulance pilots must have a great deal of experience in piloting their aircraft because the conditions of air ambulance flights are often more challenging than regular non-emergency flight services. 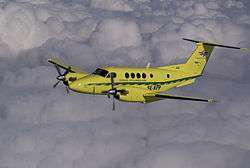 After a spike in air ambulance crashes in the United States in the 1990s, the U.S. government and the Commission on Air Medical Transportation Systems (CAMTS) stepped up the accreditation and air ambulance flight requirements, ensuring that all pilots, personnel, and aircraft meet much higher standards than previously required. The resulting CAMTS accreditation, which applies only in the United States, includes the requirement for an air ambulance company to own and operate its own aircraft. Some air ambulance companies, realizing it is virtually impossible to have the correct medicalized aircraft for every mission, instead charter aircraft based on the mission-specific requirements. While in principle CAMTS accreditation is voluntary, a number of government jurisdictions require companies providing medical transportation services to have CAMTS accreditation to be licensed to operate. This is an increasing trend as state health services agencies address the issues surrounding the safety of emergency medical services flights. Some examples are the states of Colorado, New Jersey, New Mexico, Utah, and Washington. According to the rationale used to justify the state of Washington's adoption of the accreditation requirements, requiring accreditation of air ambulance services provides assurance that the service meets national public safety standards. The accreditation is done by professionals who are qualified to determine air ambulance safety. In addition, compliance with accreditation standards is checked on a continual basis by the accrediting organization. Accreditation standards are periodically revised to reflect the dynamic, changing environment of medical transport, with considerable input from all disciplines of the medical profession. Other U.S. states require either CAMTS accreditation or a demonstrated equivalent, such as Rhode Island, and Texas, which has adopted CAMTS' Accreditation Standards (Sixth Edition, October 2004) as its own. In Texas, an operator not wishing to become CAMTS accredited must submit to an equivalent survey by state auditors who are CAMTS-trained. Virginia and Oklahoma have also adopted CAMTS accreditation standards as their state licensing standards. While the original intent of CAMTS was to provide an American standard, air ambulance services in a number of other countries, including three in Canada and one in South Africa, have voluntarily submitted themselves to CAMTS accreditation. In the UK, the AAA has a Code of Conduct that binds one of the most regulated areas of operation together. It brings the Fundraising Standards Board, CAA / EASA and the CQC together ensuring fundraising, air and clinical operations are inline with national regulation and best practice. The code goes further with an expectation of mutual support and working within its policy and best practice guides. The nature of the air operation frequently determines the type of medical control required. 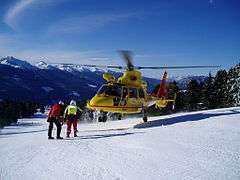 In most cases, an air ambulance staffer is considerably more skilled than a typical paramedic, so medical control permits them to exercise more medical decision-making latitude . Assessment skills tend to be considerably higher, and, particularly on inter-facility transfers, permit inclusion of functions such as reading x-rays and interpretation of lab results. This allows for planning, consultation with supervising physicians, and issuing contingency orders in case they are required during flight. Some systems operate almost entirely off-line, using protocols for almost all procedures and only resorting to on-line medical control when protocols have been exhausted. Some air ambulance operations have full-time, on site medical directors with pertinent backgrounds (e.g., emergency medicine); others have medical directors who are only available by pager. For those systems operating on the Franco-German model, the physician is almost always physically present, and medical control is not an issue. 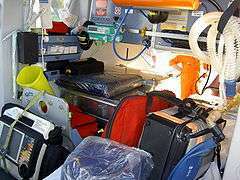 Most aircraft used as air ambulances, with the exception of charter aircraft and some military aircraft, are equipped for advanced life support and have interiors that reflect this. The challenges in most air ambulance operations, particularly those involving helicopters, are the high ambient noise levels and limited amounts of working space, both of which create significant issues for the provision of ongoing care. While equipment tends to be high-level and very conveniently grouped, it may not be possible perform some assessment procedures, such as chest auscultation, while in flight. In some types of aircraft, the aircraft's design means that the entire patient is not physically accessible in flight. Additional issues occur with respect to pressurization of the aircraft. 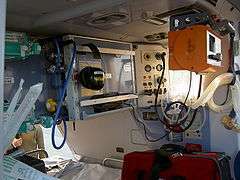 Not all aircraft used as air ambulances in all jurisdictions have pressurized cabins, and those that do typically tend to be pressurized to only 10,000 feet above sea level. These pressure changes require advanced knowledge by flight staff with respect to the specifics of aviation medicine, including changes in physiology and the behaviour of gases. There are a large variety of helicopter makes that are used for the civilian HEMS models. The commonly used types are the Bell 206, 407, and 429, Eurocopter AS350, BK117, EC130, EC135, EC145, and the Agusta Westland 109 & 149 and Sikorsky S-76. Fixed wing aircraft varieties commonly include the Learjet 35, Learjet 36, Learjet 31, King Air 90, King Air 200, Pilatus PC-12, and Piper Cheyenne. Due to the configuration of the medical crew and patient compartments, these aircraft are normally configured to only transport one patient but some can be configured to transport two patients if so needed. Additionally, helicopters have stricter weather minimums that they can operate in and commonly do not fly at altitudes over 10,000 feet above sea level. Beginning in the 1990s, the number of air ambulance crashes in the United States, mostly involving helicopters, began to climb. By 2005, this number had reached a record high. Crash rates from 2000 to 2005 more than doubled the previous five year's rates. To some extent, these numbers had been deemed acceptable, as it was understood that the very nature of air ambulance operations meant that, because a life was at stake, air ambulances would often operate on the very edge of their safety envelopes, going on missions in conditions where no other civilian pilot would fly. As a result, nearly fifty percent of all EMS personnel deaths in the United States occur in air ambulance crashes. In 2006, the United States National Transportation Safety Board (NTSB) concluded that many air ambulances crashes were avoidable, eventually leading to the improvement of government standards and CAMTS accreditation. Whilst some air ambulances do have effective methods of funding, in the UK, they remain almost entirely charity funded, as improved cost-benefit ratios are generally achieved with land based attendance and transfers. Health outcomes, for example from London's Helicopter Emergency Medical Service, remain largely the same for both air and ground based services. Medical personnel historically has been a Physician/Nurse combination, Paramedic/Nurse, or a Nurse/Nurse combination. The need for a Physician/Nurse combination has diminished with more protocol and evidence-based applications for care by nurses and other clinicians and so the inclusion of respiratory therapists in all modes of air transport is becoming more prominent. Retrieval Doctor/Physician — Criteria for working as a medical doctor (known as "physician" in the USA) in aeromedical services depends on the jurisdiction. In Australia, where aeromedical retrieval medicine is a well-established medical field, retrieval doctors must be experienced in a critical care specialty (i.e. anaesthesia, emergency medicine, intensive care medicine) as fully qualified specialists; specialty registrars in advanced stages of training; or general practitioners (i.e. family physicians) with broad experience in critical care and obstetrics. Flight Paramedic — A licensed paramedic with additional training as a certified flight paramedic (FP-C). The flight paramedic is usually highly trained with years of autonomous clinical experience in high acuity environments of both pre-hospital emergency medicine and critical care transport. Flight paramedics may be certified as a FP-C or a CCEMT-P. Some hold certificates as instructors in various fields and educational topics. Flight Nurse — a nurse specialized in patient transport in the aviation environment. The flight nurse is a member of an aeromedical evacuation crew on helicopters and airplanes, providing in-flight management and care for all types of patients. Other responsibilities may also include planning and preparing for aeromedical evacuation missions and preparing a patient care plan to facilitate patient care, comfort and safety. Flight nurses may obtain certification in Emergency Nursing (CEN), Flight Nursing (CFRN) or Critical Care (CCRN). Civilian flight nurses may work for hospitals, federal, state, and local governments, private medical evacuation firms, fire departments or other agencies. They have training and medical direction that allows them to operate with a broader scope of practice and more autonomy than many other nurses. Some states require that flight nurses must also have paramedic or EMT certification to respond to pre-hospital scenes. The military flight nurse performs as a member of the aeromedical evacuation crew, and functions as the senior medical member of the aeromedical evacuation team on Continental United States (CONUS), intra-theater and inter-theater flights - providing for in-flight management and nursing care for all types of patients. Other responsibilities include planning and preparing for aeromedical evacuation missions and preparing a patient positioning plan to facilitate patient care, comfort and safety. Flight nurses evaluate individual patient's in-flight needs and request appropriate medications, supplies and equipment, providing continuing nursing care from originating to destination facility. They act as liaison between medical and operational aircrews and support personnel in order to promote patient comfort and to expedite the mission, and also initiate emergency treatment for in-flight medical emergencies. Transport Therapist — A highly trained respiratory practitioner (also called a respiratory therapist), typically utilized in long-distance transport situations, though able to provide care during shorter transfer. Transport Therapists may obtain Adult Critical Care Specialist (ACCS), Neonatal Transport Specialist (NPT) and Neonatal Pediatric Specialist (NPS) certifications from the National Board for Respiratory Care. Aerospace Medical Association — an umbrella group providing a forum for many different disciplines to come together and share their expertise for the benefit of all persons involved in air and space travel. ↑ Branas CC, MacKenzie EJ, Williams JC, Schwab CW, Teter HM, Flanigan MC, et al. (2005). "Access to trauma centers in the United States.". JAMA. 293 (21): 2626–33. doi:10.1001/jama.293.21.2626. PMID 15928284. 1 2 3 Burney RE, Hubert D, Passini L, Maio R (1995). "Variation in air medical outcomes by crew composition: a two-year follow-up.". Ann Emerg Med. 25 (2): 187–92. doi:10.1016/s0196-0644(95)70322-5. PMID 7832345. ↑ Meier, B, Saul, S. Fatal crashes provoke debate on safety of sky ambulances. New York Times, February 28, 2005. ↑ Levin, A, Davis, R. Surge in crashes scars air ambulance industry. USA Today, July 18, 2005. 1 2 Isakov AP (2006). "Souls on board: helicopter emergency medical services and safety.". Ann Emerg Med. 47 (4): 357–60. doi:10.1016/j.annemergmed.2005.12.020. PMID 16546621. ↑ Lam DM. "To Pop A Balloon: Air Evacuation During The Siege of Paris, 1870." Aviation, Space, & Environmental Medicine, 59(10): 988-991, October 1988. ↑ Flight, 13 April 1956, p. 424. ↑ "Lam, DM. Wings of Life and Hope: A History of Aeromedical Evacuation." Problems in Critical Care, 4(4): 477-494, December 1990. ↑ "Accidental Death and Disability: The Neglected Disease of Modern Society." National Academy of Sciences (White Paper), 1966. ↑ Bearl, Spc. Daniel. "MEDEVAC Unit Stays on Alert to Save Injured Comrades." US Military News via army.mil/-news, February 9, 2007. Retrieved: December 4, 2010. ↑ "Royal Flying Doctor Service." flyingdoctor.net. Retrieved: December 4, 2010. ↑ Naughton, Russell. "Marie Marvingt "La Fiancée du Danger" (1875-1963)." monash.edu.au, 2010. Retrieved: December 4, 2010. ↑ "Saskatchewan Air Ambulance." Government of Saskatchewan. Retrieved: December 4, 2010. ↑ "Schaefer Ambulance Service." schaeferamb.com. Retrieved: December 4, 2010. ↑ "Our History: Forrest General Hospital." forrestgeneral.com. Retrieved: December 4, 2010. ↑ "Cristoph1" (in German). christoph-1.de. Retrieved: December 4, 2010. ↑ "First in the Nation - Celebrating 37 Years of Air Medical Transport!" Flight for Life, 2006. Retrieved: December 4, 2010. ↑ "History." ornge.ca. Retrieved: December 4, 2010. 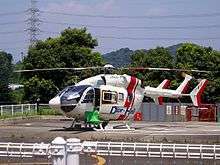 ↑ "Metro Life Flight." The MetroHealth System. Retrieved: December 4, 2010. ↑ "About Wiltshire Air Ambulance"
↑ "Governor O'Malley Announces New Additions to Maryland's World-Class Emergency Response." Maryland State Police Aviation Command via mspaviation.org, October 20, 2010. Retrieved: December 4, 2010. ↑ "Rega Switzerland." rega.ch/en. Retrieved: December 4, 2010. ↑ "ADAC." adac.de. Retrieved: December 4, 2010. ↑ Dubois, Thierry (20 April 2015). "Hems auf Deutsch". Vertical Magazine. Retrieved 22 April 2015. ↑ "USAF 357: Medical Airlift Group." public.scott.amc.af.mil. Retrieved: December 4, 2010. ↑ "Air Ambulance." mercyjets.com. Retrieved August 26, 2011. 1 2 3 Davis, Robert. "Reconsidering air ambulance usage" USA Today, July 18, 2005. Retrieved: November 12, 2007. ↑ "Colorado House Bill 07-1259." State of Colorado. Retrieved: December 4, 2010. ↑ "State of New Jersey Assembly Act No. 3786." State of New Jersey. Retrieved: December 4, 2010. ↑ "Emergency Air Ambulance Services." New Mexico Register, Volume XVI, Number 24, December 30, 2005. ↑ "Utah Rule R426-2." State of Utah. Retrieved: December 4, 2010. ↑ Washington State rule WAC 246-976-320." Washington: DC. Retrieved: December 4, 2010. ↑ "Rules and Regulations Relating to Emergency Medical Services." Rhode Island Department of Health. Retrieved: December 4, 2010. ↑ "Draft of proposed changes to Texas Department of State Health Services rule 157.12." dshs.state.tx.us. January 25, 2006. State of Texas. Retrieved: December 4, 2010. ↑ "Department of Community Health Policies and Procedures." EMS. Retrieved: December 4, 2010. ↑ Levin, Alan and Robert Davis. "Surge in crashes scars air ambulance industry." USA Today, July 17, 2005. Retrieved: November 12, 2007. ↑ "Official NTSB report on an air ambulance Learjet crash in San Diego, California that killed everyone on board, amounting to five deaths." NTSB Publication, October 24, 2004. Retrieved: November 12, 2007. ↑ Levin, Alan. "NTSB: Air ambulance crashes avoidable." USA Today, January 25, 2006. Retrieved: November 12, 2007. ↑ Brazier, J. 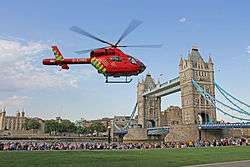 "The cost and effectiveness of the London Helicopter Emergency Medical Service." J Health Serv Res Policy, 01-OCT-1996; 1(4): 232-7. ↑ Elliott JP, Foley MR, Young L, Balazs KT, Meiner L (1996). "Air transport of obstetric critical care patients to tertiary centers.". J Reprod Med. 41 (3): 171–4. PMID 8778415. ↑ "Positions Vacant - Staff Specialists". Royal Flying Doctor Service. Retrieved 2 February 2014. ↑ "Positions Available". Careflight Group. Retrieved 2 February 2014. ↑ "Critical Care Registrar Recruitment". NSW Ambulance Service. Retrieved 2 February 2014. ↑ "Positions Vacancies - Medical Officers". Royal Flying Doctor Service. Retrieved 2 February 2014. ↑ US Air Force ROTC. "Flight Nurse". Archived from the original on 9 June 2008. Retrieved 2008-06-05. Wikimedia Commons has media related to Air ambulances.